1. I love this yarn wreath from Cozy Made. You would think I'd get sick of yarn, but I never ever do. 2. 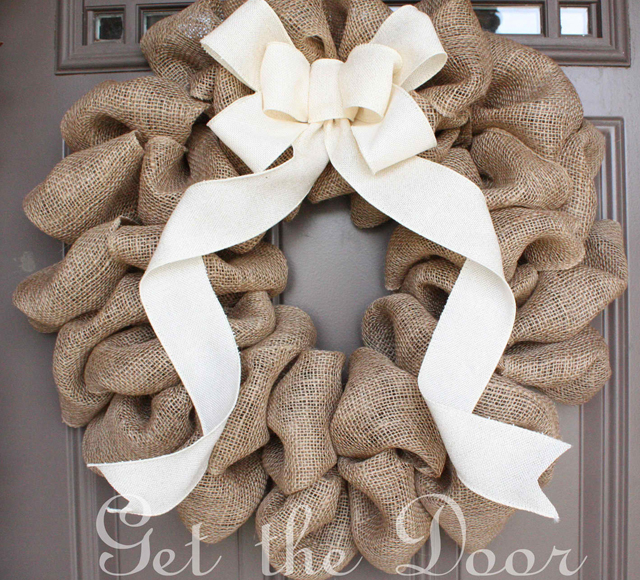 I like the rustic feel of this burlap wreath from Get the Door, don't you? 3. 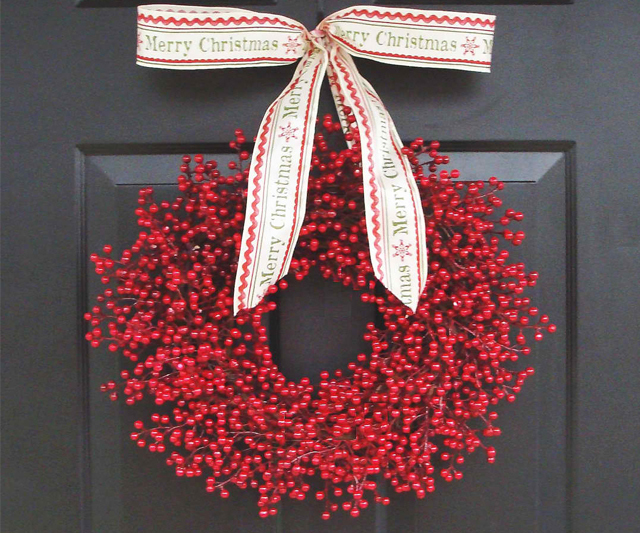 This red berry wreath from Elegant Holidays would be so bright and cheery on a snowy day. 4. I think this wreath made out of pink ornaments by Judy Blank adds a spunky twist to the traditional Christmas color scheme. 5. 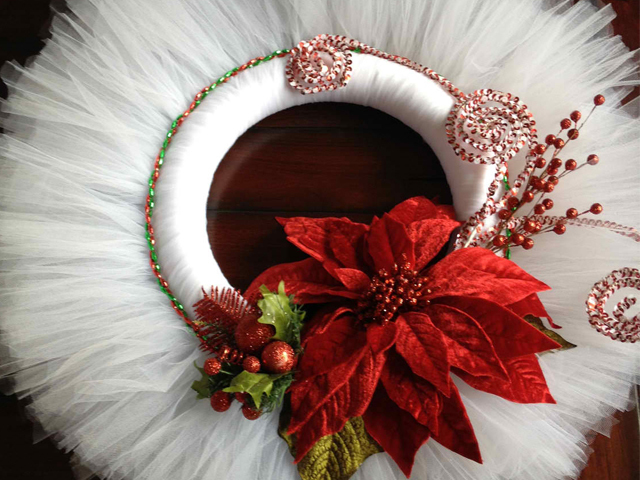 And this tulle wreath from Ducky Duck Diaper Cakes is also different in all the best ways. All five of those lovely photos are courtesy of their respective Etsy shop owners. 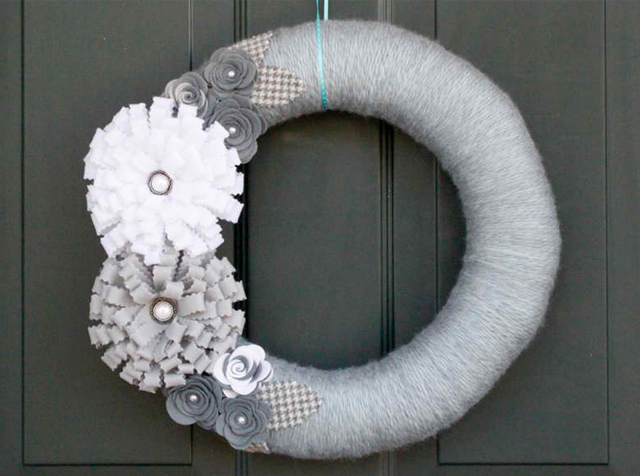 Do you have a non-traditional wreath at home? What is it made out of? Thank you for featuring my tulle wreath!! I'm glad you love it! (and it's still up for sale lol!) Great site you have! Hi Laura, Just discovered your blog by traffic to my Etsy shop. Love all your interesting and informative posts! 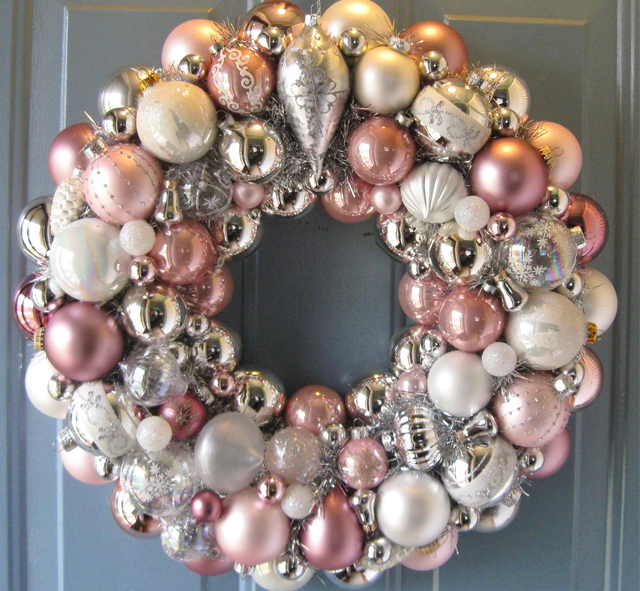 Thank you so much for featuring my pink Vintage ornament wreath!